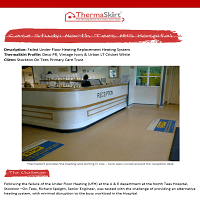 ThermaSkirt Case Study – NHS Stockton on Tees - DiscreteHeat Co. Ltd. Following the failure of the Under Floor Heating (UFH) at the A & E department at the North Tees Hospital, Stockton –On-Tees, Richard Speight, Senior Engineer, was tasked with the challenge of providing an alternative heating system, ensuring minimal disruption was caused to the busy workload in the Hospital. Clearly, locating and repairing the UFH failure would have meant extensive upheaval of the floors and significant closure periods; therefore it was discounted early on. The obvious solution would have been a number of LST radiators, but again the layout of the department would have required significant remodelling to create the necessary wall space to accommodate the radiators & their bulky casings. Extensive pipe runs and drops would’ve also be required in order to feed them. It was then that Richard was introduced to the innovative skirting heating product ThermaSkirt by Renewables experts Revolution Power Ltd.
Revolution Power are the commercial installation partners in The North-East of England for the Manchester based manufacturers of the ThermaSkirt system; DiscreteHeat Ltd.
As Seen on BBC’s Dragons Den, ThermaSkirt is a radiant heating panel, formed to replicate a traditional skirting trim. Designed originally for residential applications, it has recently been developed to suit the specific demands of the HealthCare Sector following successful field trials at a number of NHS sites around the country. The system, being completely free of grilles or slots is practically maintenance free, simple to clean and has been shown to offer significant advantages over LST radiators in controlling the spread of HealthCare Acquired Infections (HAI’s) such as C.Difficile and MRSA. Other advantages of the ThermaSkirt include its even distribution of heat, providing a more comfortable environment for patients and commensurate lower running costs and energy bills. Finally, the ThermaSkirt system is very responsive, both on & off, creating a pleasant all-around ambience in a few minutes. 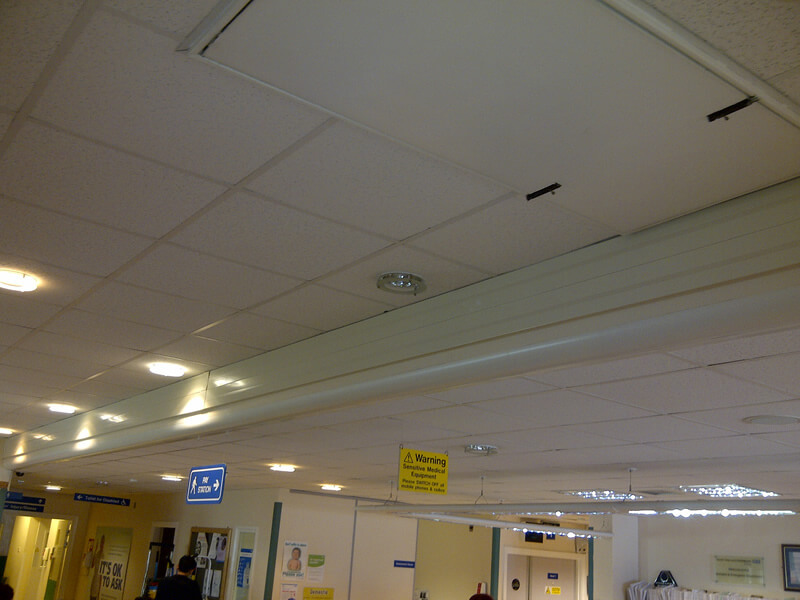 It offers no risk of injury to patients as there are no pipes or casing trip hazards, nor any potential ligature points. 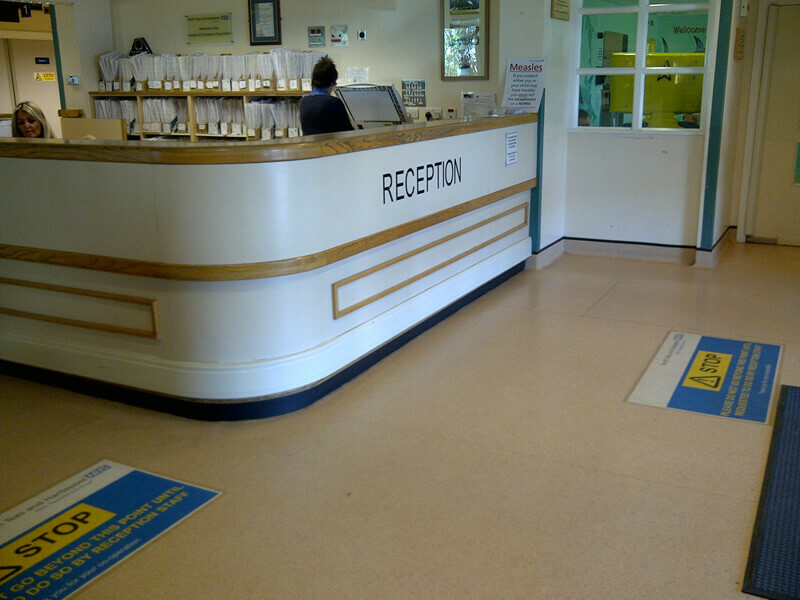 Revolution Power were able to design & install a ThermaSkirt system at NHS North Tees that could use the existing under floor heating controls and pipework, giving an install time of only a few days with minimal disturbance and redecoration. 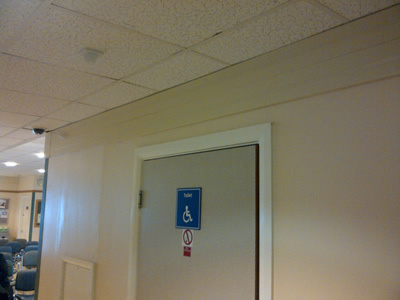 ThermaSkirt has been installed at both low level as a typical skirting trim, but also at high level in the waiting area, as a sort of ‘heated coving’ which when combined provides a remarkably comfortable and responsive heating system. The ThermaSkirt system can be run at high temperatures or at Low surface temperatures (LST), whilst offering space & energy saving & significantly reducing the cleaning & maintenance costs associated with LST radiators. With minimal disturbance to the fabric of the building and the retention of much of the original pipework, the whole reinstallation of the heating system has come in many thousands of pounds under the original budget. "I was impressed with the concept of the ThermaSkirt system from the off, but a bit sceptical it could do the job. Reports from other Hospitals gave me the confidence to give it a go and I cannot tell you what a difference it’s made. Rev Power did the whole job in a few days and we were back up and running immediately after. 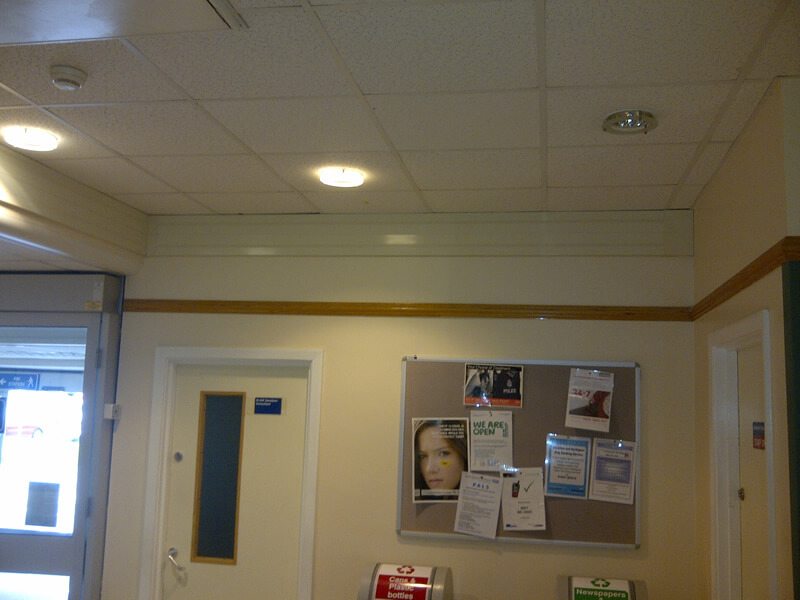 The staff is very happy with the new ThermaSkirt heating system."